If the weather where you are is anything like the weather we’re having, it’s HOT. Hot, humid, sunny, full-on summer — which means it’s the perfect time to be enjoying the most refreshing, cooling beverages. And this Blueberry Lemonade is definitely my favorite hot-weather drink lately. Since I first made it three weeks ago, from the blueberries I picked from the berry farm with Fearless Toddler, I have been drinking it (and making more batches) non-stop. In fact, I’m enjoying another glass of it right now, as I type this up. Really! This Blueberry Lemonade has all the qualities of a perfect summertime beverage — it’s refreshing, tangy, citrusy, and sweet without being too sweet. The easy-to-make blueberry simple syrup has a delicious sweet + tangy flavor that marries perfectly and balances wonderfully with the tart, citrusy lemon juice. And how gorgeous is that bright berry color?! Poured over a tall glass of ice, garnished with extra fresh berries, lemon slices, and a sprig of mint, it’s as easy on the eyes as it is on the taste buds. A simple, delicious, lovely drink to showcase those beautiful in-season fresh blueberries. 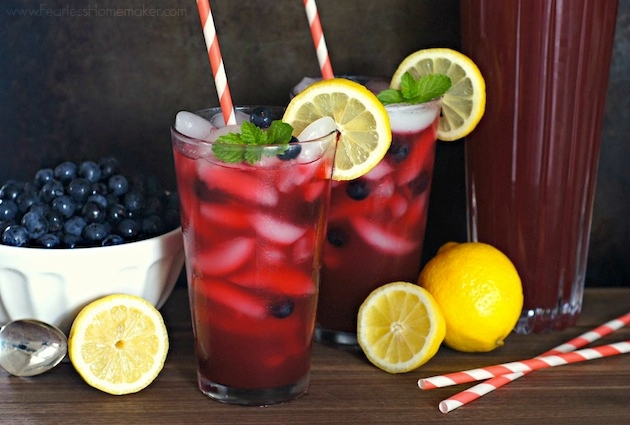 I hope y’all give this fantastic Blueberry Lemonade a try — I know you will love it! serves 6, adapted from Eat.Drink.Love. Make the blueberry simple syrup: Combine the water and sugar in a medium saucepan over medium heat, stirring until the sugar has dissolved. Stir in blueberries and bring to a boil; reduce heat and simmer, stirring frequently, until blueberries have broken down, about 5-7 minutes. Strain blueberry mixture through a cheesecloth or fine sieve into a large pitcher; let cool completely. Discard solids. In the same pitcher, whisk together the blueberry syrup, lemon juice and 5 cups water. Place in the refrigerator until chilled. Serve over ice, garnished with lemon slices, blueberries, and mint leaves, if desired. YUM! This sounds like the perfect summer drink. So refreshing! It’s pretty hot and humid here, too. I’d love a glass of this to cool me down! Wish it was hot here in Australia.. we’re experiencing the chill of winter now. 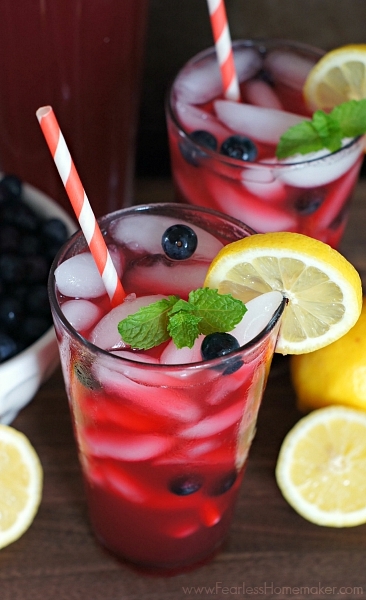 Though despite the weather – this blueberry lemonade is something I definitely would enjoy devouring! Yum, this looks absolutely refreshing, I love those light flavors in this sticky mess of weather we’ve been having! I’ve just picked tons of fresh berries and this looks pretty perfect! I need to check out that berry farm! This recipe sounds perfect. What a pretty summer drink. 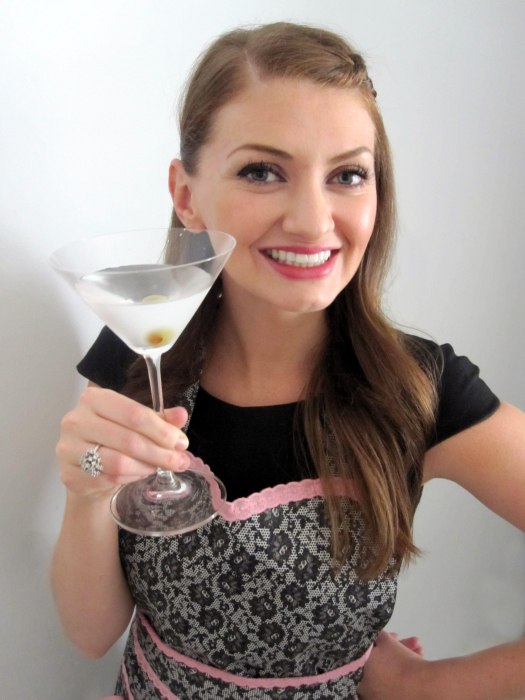 With a splash of vodka or gin, it would also make for a nice cocktail to serve at a BBQ. What a beautiful color this drink has! And the flavors are just what we need for summer. well done! It’s been extremely hot in Europe lately. The temperature got to 40C sometimes so having a glass of a lemonade would be a perfect idea. I don’t like buying lemonades in supermarkets because they are way too sweet. Blueberries are my favourite fruits so I would love to try your lemonade!! This drink looks like a perfect way to cool down! We are supposed to get into the 90s this week (yuck!) and I just bought my first blueberries of the season at the farmers market yesterday. I made this about a month ago…it was pretty good.